AAA Limousine. is proud to present Chevy Suburban – American’s favorite vehicle for generations. spacious room with the finest leather seats will accommodate up to seven passengers. 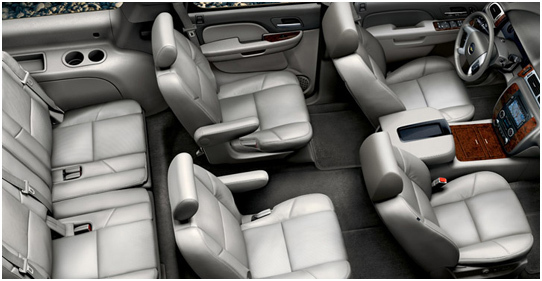 Chevy Suburban is the perfect vehicle for a large family and group travel. extra large luggage space is perfect for ski bags, golf clubs, and any other oversized bags.